Long on style and elegance. You can layer or wear this beautiful shell necklace long. 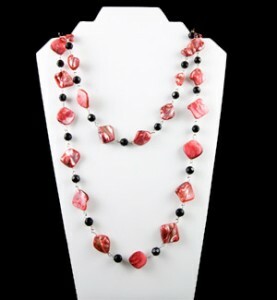 Wear with your favorite dress for dramatic effect.